When you would like space and privacy, our Tower Suite is ideal. 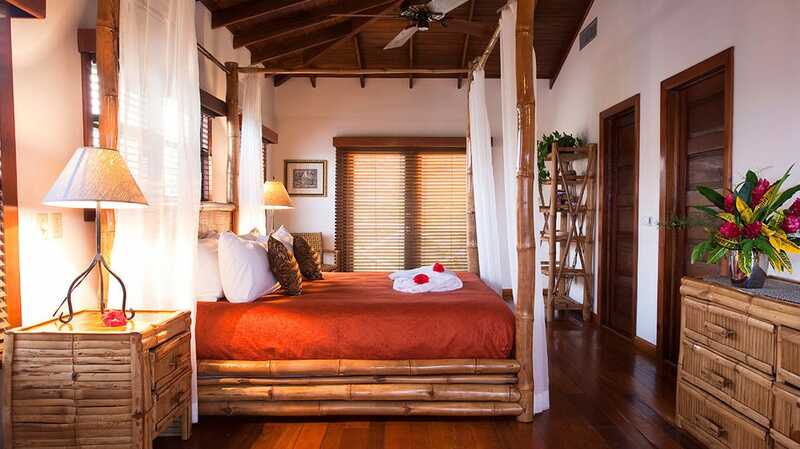 This tiered 1,520 square foot suite is a standalone unit that is part of our magnificent 5 bedroom villa, Casa Azul. 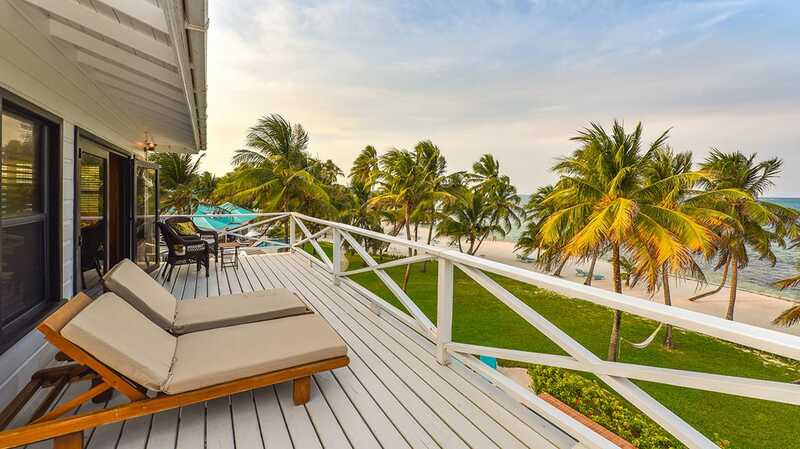 You enter the suite from a beach level open stairway which leads to a large second floor sundeck and your private entrance. 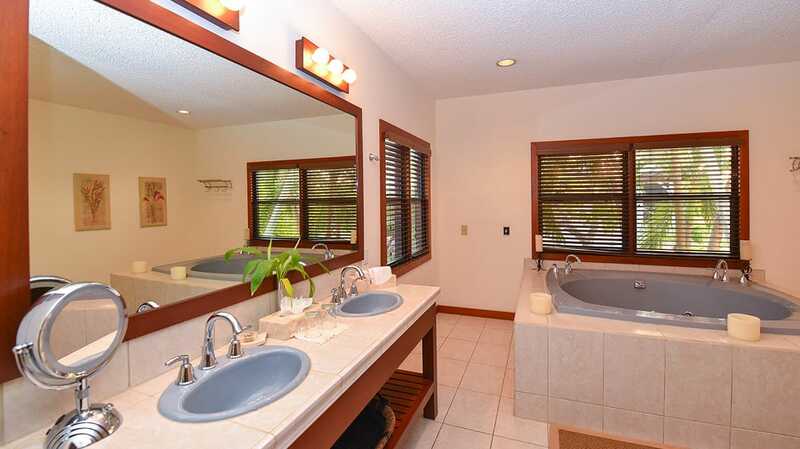 On this entry level you will find a magnificent oversized bathroom featuring a walk-in shower, double vanities and large, relaxing Jacuzzi tub. 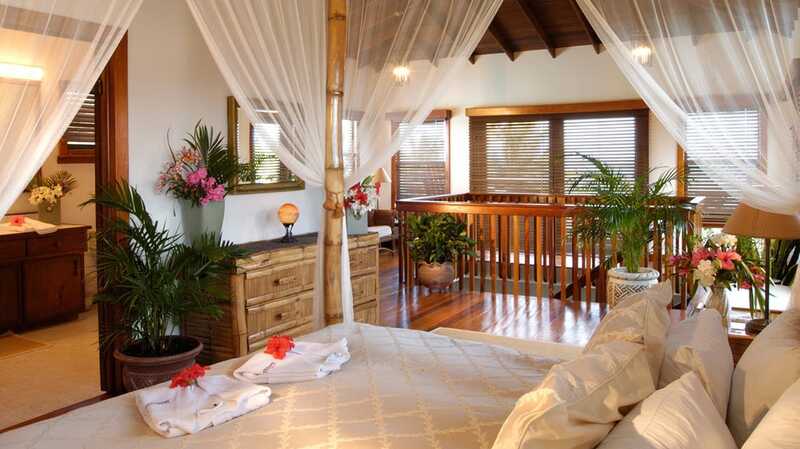 Your spacious third floor bedroom with ensuite is accessed by a mahogany staircase. 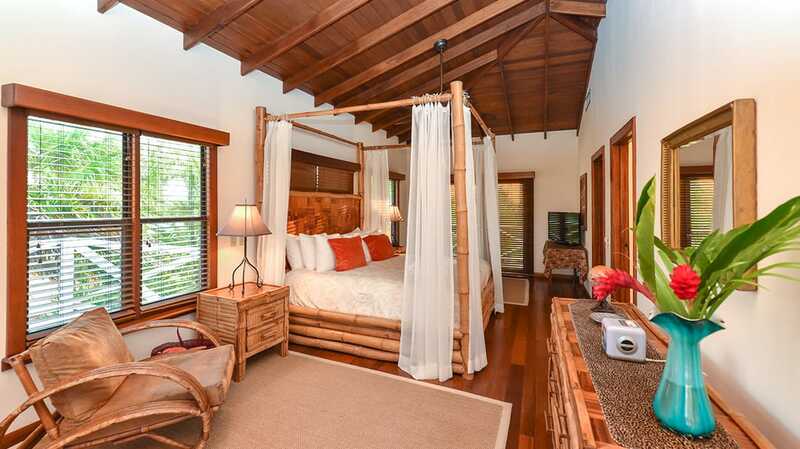 The room features gleaming hardwood floors, vaulted ceilings, a king four-poster Bamboo bed draped in a romantic netted canopy and a sitting area. A large and private verandah extends from the bedroom, offering dramatic and unfettered views of the beach, ocean and barrier reef. ** Please note that the Tower Suite can only be reserved within 60 days of check-in. If booking more than 60 days in advance, the Tower Suite is only available when reserving our complete 5 bedroom villa, Casa Azul. Hypoallergenic rooms can be prepared upon request. Pillows and duvets are exchanged with synthetic, hypoallergenic options.